If you do, did you know that you can support us just by shopping? AND everything that you can buy on Amazon, you can also buy on Amazon Smile! Our Certified Trainer supervises all our training programs and will work directly with you, our client. As of November 2015, we've put together thirty-one Service Dog Teams! 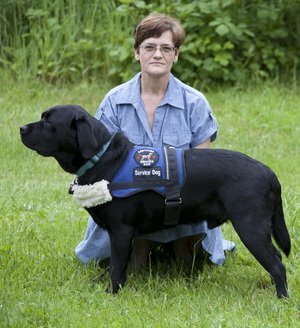 * Suzanne has been professionally training Service Dogs for over 4 years.